Pawtucket, Rhode Island, June, 2017 — Harmony Heritage Chorus, the Pawtucket, RI chapter of Harmony, Incorporated, an international organization of female a cappella singers specializing in the barbershop harmony style, will lead a free harmony performance and workshop at the Lincoln Public Library on 145 Old River Road in Lincoln, RI. The workshop will take place on Thursday, June 22nd from 6:45 – 7:45 PM. This free, participatory event will show how the four different voice parts – tenor, lead, baritone, and bass – work together, while showcasing the wide range of musical possibilities contained in this timeless style of a cappella singing. Members of the audience will be invited to try out the parts and to sing selected songs with the chorus. Harmony Heritage chorus primarily sings in the barbershop harmony style, which traces its musical roots back to the turn of the 20th century. Today, barbershop harmony singers not only celebrate the classics, but also put their own spin on contemporary songs as well. To register for this workshop, call 401-333-2422, x 22. 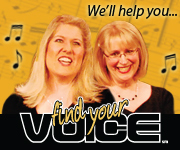 For more information about Harmony Heritage chorus, visit www.harmonyheritage.org or call Barbara-Ann MacIntosh at 401-560-0073 or Mary Levasseur at 508-336-6956.